Mozilla and Eyebeam Art & Technology Center announce the launch of a joint initiative to support creativity at the intersection of art and the open web. Open(Art) is a unique opportunity for artists and technologists to collaborate on new work that catalyzes creative participation on a global scale. Interested makers are invited to propose projects that push the boundaries of online or networked culture and address contemporary social challenges, while contributing to the community of practice around creative code. 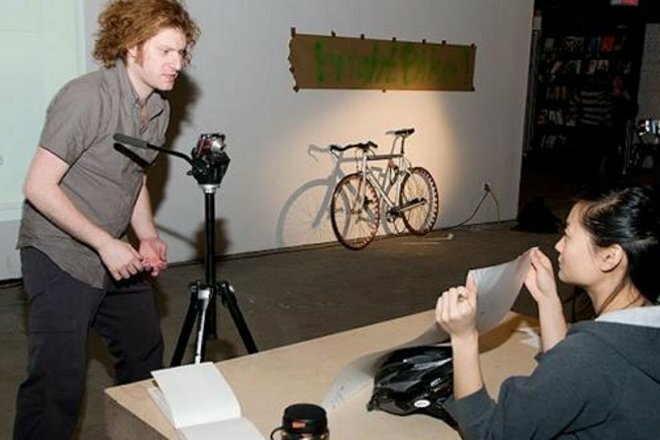 Three (3) projects will be selected from an open call for proposals, and will each be awarded a $15,000 production budget and resources to develop the work, including desk space and access to design, research, and fabrication studios at Eyebeam’s New York location.